Rampur: The centuries-old Lavi fair started today at Rampur in Shimla district. 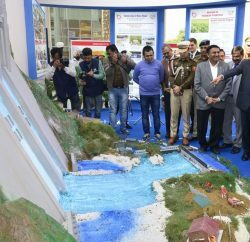 Himachal Pradesh Governor Acharya Devvrat inaugurates the four days long International Lavi fair. 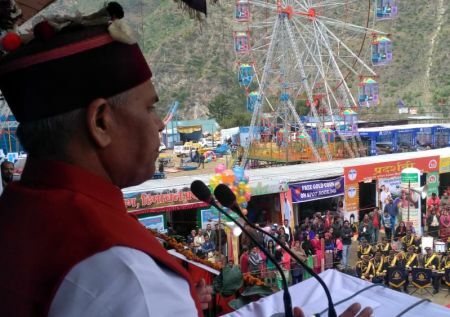 The Governor, while speaking at the inauguration ceremony, said that Himachal Pradesh is called as Dev Bhoomi and such festival plays an important role in preserving its rich cultural heritage of state as well as country. He said that international Lavi Mela is important from historical point of view, which is not only known for business activities but also mythological traditions. Raising concern over the increase of drugs in State, Devvrat called it a matter of concern, and gave clarion call to work together to make Himachal a drug free State. He said that drug addiction is not a problem confined to a family, but it is a social evil which is ruining the future generation of the country. 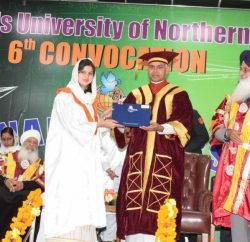 He said that illegal activities such as drug abuse and gambling takes place under the guise of festivals and fairs which should be stopped so that the significance and relevance of these festivals can be maintained. On this occasion the Governor called upon the people to move forward in the direction of natural farming. He said that the state government has made a provision of Rs. 25 crore for promoting natural farming, which is a positive initiative towards poison-free farming. 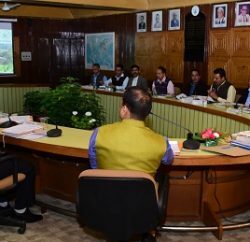 He apprised the people of the consequences of chemical farming and said that by using excessive chemicals, we have made our land barren and the food grains and fruits which are being produced by using these chemicals are adversely affecting our health. This is the reason that many incurable diseases have arisen today. He said that after the chemical farming, the organic farming which has been called for adoption is not less fatal than chemical farming, the cost of farming also increases in the first three years and there is less agricultural production also. He said that by adopting natural farming today we can not only increase the fertility of our soil but water consumption can be reduced and it is also an environment friendly agriculture. This will eliminate the initial cost of farmer and the income will be doubled. He said that natural farming is based on Indian breed cows and by adopting this farming we can also protect the cows of local breed. He urged the people to understand the usefulness of local breed cows and therefore not to leave them on roads but instead work for the improvement of their breed. Earlier, the Governor inaugurated exhibitions of various departments at Lavi Fair.